McLaren joining the IndyCar field full-time is still a case of 'when not if', but timing depends on the team's Formula 1 form says its CEO Zak Brown. 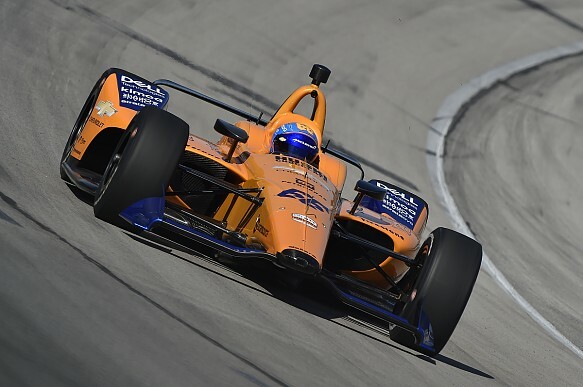 A McLaren IndyCar project has been mooted since its Indianapolis 500 campaign with Fernando Alonso and Andretti Autosport in 2017. Though a potential full 2019 programme did not come off, McLaren and Alonso are returning to Indy this year in collaboration with Carlin. Brown attended last weekend's Long Beach IndyCar round to compete in a historic support race, and said advancing IndyCar plans for 2020 or '21 would be a McLaren priority now its F1 restructuring was taking shape. "We're a big fan of this racing series," he said of IndyCar. "I think Mark Miles [CEO of IndyCar owners Hulman and Company] and team have done an excellent job. "The racing is outstanding - great teams, great drivers, great venues. So it's a place that McLaren would like to race. "Going ahead and getting the equipment, making the investment in doing Indianapolis this year in the way we are is another step in that direction [towards full-time IndyCar]. "There is no doubt that the shareholders at McLaren would like to be in IndyCar. Brown emphasised that the timescale for the IndyCar project was subject to McLaren's F1 form. "I need to be convinced over the timing of the move," he told Autosport. "I'm certainly convinced we should be in IndyCar, but I need to make sure that we're happy with where we are in Formula 1. "I'll go forward with the ultimate recommendation [from the shareholders] when the timing is right and when we as an organisation can do multiple racing series competitively without one draining the resources from another. And we're just not there yet." He said factors such as when IndyCar introduced its mooted new car or whether its efforts to secure a third engine manufacturer succeeded would not influence McLaren's timing, saying "when we're ready to go racing, we'll go racing". 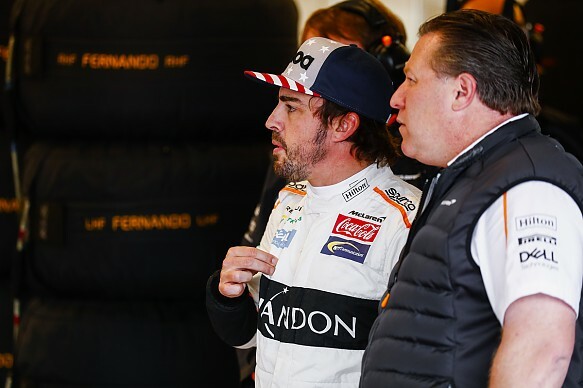 Asked whether Alonso - who sounded uncertain about whether he wanted to race in IndyCar full-time following his test at Texas Motor Speedway last week - was intrinsic to McLaren's IndyCar plan, Brown replied: "No". He added that this year's tie-up with Carlin was a practical move for McLaren's one-off single-car Indy entry but not a model for how it would contest IndyCar full-time. "If you make the leap to come in on a full-time basis, we'd be self-contained as a two-car McLaren Racing team," said Brown.